VSE: How to Reuse an Animation or how to Create an Animation Template? I have animated a strip in the VSE and would like to apply the same animation to other strips later. How can I do that without manually recreating the keyframes on the other strips? I guess I’m looking for a way to create something like an animation template that I can apply to multiple strips at different points in time. Ideally, making changes to the animation template will also update the animations where the template was used. The accepted answer on this question suggests that Actions could be used to create such animation templates. Unfortunately, I couldn’t get new keyframes on VSE strip properties into custom Actions but only into the default “SceneAction”. 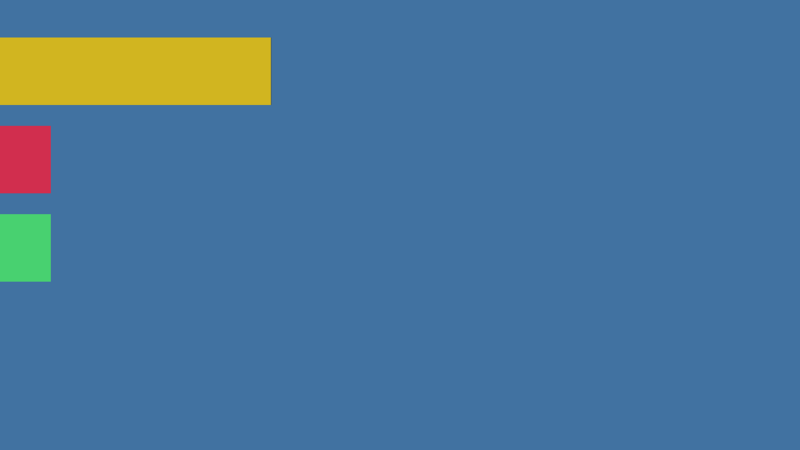 There are three similar, scaled (color) strips on top of a background strip. I have animated the yellow strip (via Transform.Yellow). I would like to reuse the same animation on the other two color strips, just later in the video. Archive your software by Duplicating the file or entire Scene to Duplicate all VSE Strips. 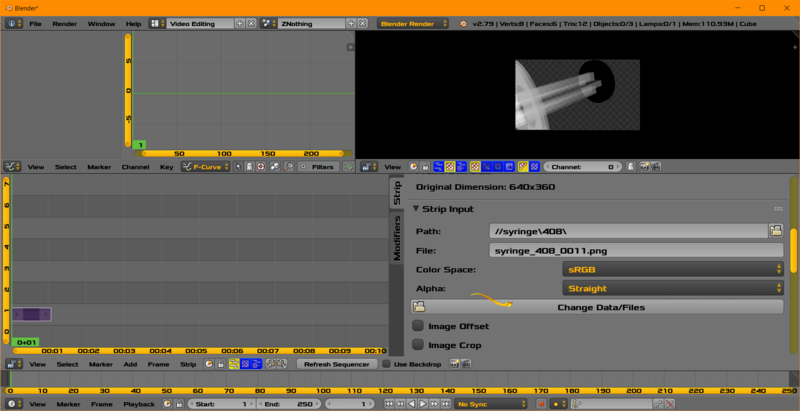 Duplicating the Strips in the Particular Scene to test new animations. A Python Script solution by searching BSE or the internet in general. Obtaining a new Python Script written by someone or you. Your expertise with Python will be a factor in determining the cost of this. A Python Script can handle this situation. The cost could be searching the internet or someone writing it. You might be that someone. Sometimes a manual solution may be more time cost or other cost effective depending on arrangement and quantity of data. If you get lucky. Probably more people on the BSE site are familiar with Copy and Paste rather than writing a Python Script. 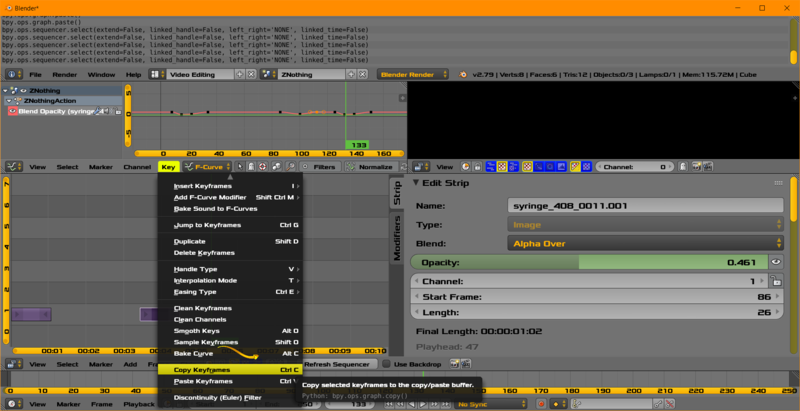 Please know keyframe data can be copied and pasted from the Graph Editor Window. Copy and Paste from the Menu or use the indicated standard keystrokes. Image Above. You might also have a manual copy and paste solution depending on your data quantity and the time cost or other cost of getting a Python Script. Just like spreadsheet data or text data has a copy and paste with a cursor ... the Blender User may copy points of the one data graph (A) and paste them to a certain target data graph (B) with the graph timeline frame cursor. Lets imagine an optimistic hypothetical situation. Suppose your Blender Scene situation has 3 independent video strips in a set named [A] in VSE each with 88 transparency keyframes each and 3 dependent video strips in a set named [B]. Next the scene is duplicated and [A] has been given a new animation by you. Next you may only need to copy and paste actions 3 times to give [B] a new animation. In this scenario you did [not] manually duplicate the work of thinking about the 88 keyframes individually. Not the answer you're looking for? Browse other questions tagged animation video-sequence-editor keyframes or ask your own question. Reusing Animations for another character? Can movie data from a movie strip in the VSE link to data in a texture? How to organise dope sheet keyframes with color or strips/groups and how to change the order of displaying animations? VSE: how to duplicate an existing mask? How to create multiple Scene strips of 3d objects in the vse? hotkeys for blend settings? (overdrop, alpha under, cross, etc)?